Beloved one reading this message . . . do you realize that you, as a child of God, have special rights and privileges that others don’t have? Think about it for a minute. In a similar way that you have a special relationship and unique benefits because you are a member of your earthly family — even more so you have amazing and supernatural benefits because you are a member for the family of God. That is a huge reality for all who believe! But here’s the thing: If you have all these special advantages, then why do you still struggle with so many of life’s issues? It’s likely because you’ve not developed your faith to be strong, able, and ready when needed. Your faith is like the muscles in your body. For your muscles to be strong and able, they must be worked. And the more you work your muscles, they stronger they get! The same is with your faith. 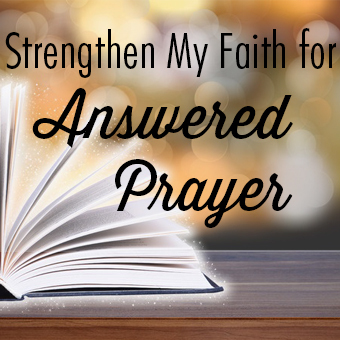 So here are five steps to help you build your faith muscles so you can partake of the amazing blessings that are waiting for you to receive. Click on the image above to learn how you can strengthen your faith. Step Two: Understand the strength of your faith, and begin believing for those needs that are within your level of power. Again, think about your faith as a muscle. 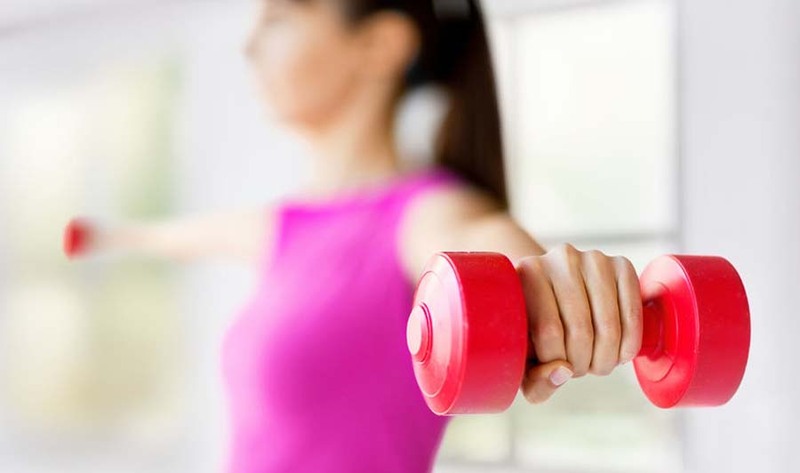 If you were just starting to develop your physical muscles, would you begin with 100 pound weights? No! You can clearly see how silly that would be since you are just starting out. And if you did start with weights that were too heavy for your level of development — you would likely fail. Then you would quit. And perhaps have a hard time trying again. Just like we all have the same number of muscles . . . the difference is what we do with those muscles. Some workout frequently while others don’t. And consequently, those who have developed their muscles are stronger than those who sit on the sidelines. What is a need you have right now that you can start exercising your faith to receive? You can begin developing your faith muscles by starting small and then tackle some of the other bigger issues in your life. Step Three: Believe you receive! God’s Word is true. 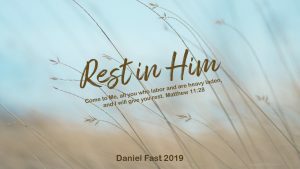 And He shows us in the Bible that because of Jesus’ sacrifice, His resurrection, and His ascension — that He gained back all the benefits that God created for us “in the beginning.” And as soon as we accept Jesus into our hearts as our Lord, our spirit is reconnected with the Spirit of God. The Spirit of God comes into us and lives there allowing us to have power to receive. I encourage you to study Ephesians to see that grand place in which God has already positioned you and the power He has given you through your faith. And then operate in your faith from that amazing place! That’s a place of power. Of blessing. Of truth. Step Four: Be consistent! Never give up. Always believe. Let’s go back to the muscle-building analogy. You can pump weights on a consistent basis and over time your muscles will get stronger and stronger. Soon, what was once heavy-lifting, now feels light. You’re able to lift heavier weights because of what you’ve done before. You’ve become strong. The same is true with our faith. Consistency is the key and it’s the way to power. To develop your faith, you want to use it every day and over and over again. Learn more about your faith. Develop an intimate relationship with God. Spend time with Him and studying His Word. Build those faith muscles. Pray about your needs and expect God to fulfill His promises. Who is telling the mountain to go into the sea? You! Me! And not Jesus. He teaches us to use our words and to have faith with no doubt. He instructs us to speak to the mountain that is causing us problems! We do the speaking and whatever things we ask in prayer, and believe, we will receive! So how are your faith muscles? Are you working out? Or are you like so many? You just can’t make time to do the exercises necessary to gain strength? One thing I know for sure – the time we devote to developing our faith and strengthening those muscles will pay dividends higher than we can imagine. But we have the choice. We can stay on the couch and then struggle when problems arise. Or we can develop a plan and start to get strong and able and secure! What will you do? Hi, I am struggling with my faith at this very moment. I have been sick for about two weeks, with influenza, I know the truth of the Word – that by the stripes of Jesus I am healed, That God is the God that heals us, that God will take away sicknesses from us….. I came across Ephesians 3:14-19, just today & I pray that God will help me get my faith renewed IN Him and His Word that I know is life to my body…. Hello susan thank you so much for the right words at the right time, i am in the process of learning to trust God’s appointed time in my life. And i am praying for the Holly Spirit to guide me and give me strength throughout the whole process till i get there in Jesus’ name. God is so good and loves you so very much. 1st and foremost I Thank God for all his works in me!!! I Thank God for using you as a vessel for his message in words we can hear and understand! I Thank God for YOU! As a Health & Wellness Fitness Coach I totally related to thus message! It spoke volumes to me and to my spiritual growth. I have ALWAYS been a full of Faith follower of the word and have ALWAYS believed!!! Not until i gave myself completely to my Lord and Savior Jesus Christ did i realize how mych harder I needed to “work out” i allow him now to take over my words, my actions, and my whole being! Your message convicts and confirms so much more!! I pray the Lord continues to use you to share his message with many more and that the ratio grows in his favor! Glory to God! Amen!! Thank You Susan Gregory for this message on how to ‘Strengthen Your Faith”. This has past week has been a very stressful week and I have to admit my faith has been challeged in reqards to my health for the first time in my life. I’m 51 years old and have had several unknown health issueses taking place in my body. 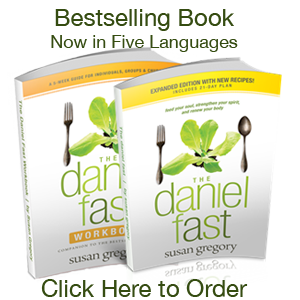 I first starting recieving your emails during the summer of 2015 when I decided to engage in my first “Daniel Fast”. During the fast, God exposed arears of my life that I, admittedly to tried to hide from myself and Him. It was good to finally come clean with myself and God. As a result I have grown closer to Him, yet I have never expierenced any issues with my heatlh. Thank You for reminding me of His word (1 Peter 5:7 and Phillippians 4:7) during this challenging time. Because of your post I can say “He is my refuge and my fortress; My God in Him I will trust. (Psalm 91:2). Oh, by the way I did responded to my famlily doctor for test faithly waiting on results, however,I know God is Able (Ephessians 3:20). Thanks agian for allowing God to use you in souch a time as this. You are dearly loved, my friend. God’s precious Word is so powerful. I am so glad that message turned you to the Lord even more. That is very encouraging! The Lord has truly given you insight that you may share with your sisters and brothers in Christ, thank you for being that willing vessel. Praise God for this on time word. It really speaks to the struggle I am going through right now. I feel so tired and seem distracted from reading my word and praying. I have to learn that no matter what is going on I need to have time with the lord because only he can keep me in total peace. Thank you for this articel!!! I can so identify with you! He is the love, joy, and peace for which we long. Our part is to partake and put our trust in Him. I really appreciate all your encouraging words and motherly advice to me, it has built a lot in me and I can’t say it all. Thanks and God bless you. We are called to love one another. What a lovely job the Lord has given us! Thank you Suzan for sharing this wonderful words with us. I pray that God can give me strength to have faith and pray without ceasing. First let me thank you for allowing God to use you in such a powerful way. This message was to me a blessing. I’m a control freak, and anxious person. Unable to stand still and wait. And due to that nature I struggle a lot with God’s timing in my life. I am constantly questioning and suffering because in my head I believe and I trust but for me it always is too long a process and than when I think it’s coming along a bomb falls on me again and splashes everything all over again. But this message has given me clarity to what may be my biggest flaw. I thank God for he uses people and circumstances to speak to us and give us assurance and comfort. May you always have your life in his presence and guidance and may God bless and direct you always. God is so good . . . and thankfully He is loving and patient with us as we learn to receive His love and direction. I too have a mind that races a lot. But I have learned to be quiet with Him. To still my mind so I can be in His presence. Sometimes I have to “return” to Him many times during a time of silent meditation. So I totally get what you mean. I am so thankful He knows us better than we know ourselves . . . and works with us to help. This message is such a blessing to me. Michelle’s comments and your reply to her are such a confirmation and encouragement to me. I have been that controlling anxious person you both spoke about. And as a result confused. God is so good. I am thankful that He spoke to your heart through this message. You are loved. I really blessed God for you. These steps are powerful and touching. God used other people to encourage us with his world. I agreed that our words are powerful. God is faithful,Loving, patient and caring. I can remember when God send His son to deliver me from Breast cancer. It was in 2014 when I was diagnosed. God is a good good father. I can never stop serving Him. And I blessed God for your life. I pray that God bless your entire family. Praise God for His truth and that He shows it to us so we can live in His strength and joy! Viia le Atua (Praise God! in Samoan) I love the encouragement you provide through your truthful and faithful messages. It is so true that when I draw near to God, He draws near to me. I have been growing steadily and see the benefits in my life by leaning on and trusting God. I have been speaking His Word more and more and He has always faithfully shown up, provided more than what I ask. God is so good and I thank Him for your faithfulness in your ministry to many, many others. May He bless you abundantly in every area of your life! I can just say Amen to this article and the comments. I have been in a dessert season for some time. What I’ve learned from that is that God even uses those seasons to get us closer to Him. Your article tonight, is just so timely as I feel it in my heart that God is wanting and busy doing a new thing in my life and that of my ministry. I was researching true fasting online and one of your articles came up. I was so moved by your words that I immediately texted my wife at work and asked her to read it. We agreed that we’ve been needing a deeper and closer relationship with God and we just started our own Daniel fast for 21 days. Keep us in your prayers and definitely keep being used by God. Thank you for your encouraging words, John, and for taking the time to share your thoughts we with me. Our Lord is so good. His love for us is greater than we can ever imagine. And all we need to do is “plug in” by putting our trust in Him. I encourage you to “go for it” during your fast. Keep your focus on the Lord, His love, and the amazing things He is doing in your life – rather than on the food! You will be so blessed as the Spirit of God blesses and works in you. I just wanted to say thank you for these lessons. It’s like every time you send something,it’s talking to me. For the past couple of days I was wondering how to strengthen my faith in God and God answered me through you! Thank you Susan and may God continue to shower you with blessings and expand your teachings through out the world! God is so good to meet our needs when we ask Him in faith. Step Four really stuck a cord. Our Pastor often preaches to never give up….STAND FIRM and this is in alignment to what you are instructing us to do. I myself cannot get enough of the Word, be it through the Pastor or your excellent teachings. I thank you most sincerely. God bless you and your ministry. Thank you Susan yet again for such powerful words of Life from the God’s words of Life. Truly faith building and causes our walk with God to be even closer. Your articles are always life saving and causes me to be more focused on God the more and to be strengthened and stronger in him. Thank God for the empowering enrichment of His words of truth given through His willing vessel to share. Thanking God for attitude of gratitude for he keeps on doing great things for us and for being able to flex our muscles of faith and belief to move mountains in our lives. And thank you so much Susan for the reminder of how truly great God is to us. May God continuously, abundantly, bountifully, bless you to the overflow in every area of your life in Jesus’ almighty, powerful, wonderful, glorious, and matchless holy name. God Bless you Richly. Amen! Thank you so much for your words of blessing, Dolly. God is rich in love, truth and blessings for us. Yet the world is contently trying to pull us away. Our Lord is always there for us and our part is to keep turning to Him over and over and over and always. Then we experience the joy of the Lord and His amazing care. I really have problems and my problem is; I think that I am to old to learn scriptures in the bible. I am not sure on how to start learning and remembering scriptures. I do want to learn! When I was small, my mom made sure that we were in Sunday school and learning, but I guess I did not, not that she made us but I was just stubborn. Some of the scriptures I know and a lot I do not. I want a closer walk with God, I want to be able to truly believe without a doubt, but don’t get me wrong. I do believe but I think that my belief is small, like the mustard seed. My goal is to learn, to strengthen my muscle and I know that it will not happen overnight. Thanks for listening! Please don’t feel that your faith depends on memorizing scriptures. Take that burden off your shoulders so you can be free to experience God’s amazing grace and love for you. I suggest you find a few verses that speak to your heart. You can research using a wonderful online tool called Bible Gateway. Find verses there, then find them again in your own Bible. Then, write each verse on a note card. Carry them with you or post them around your house (on the fridge, above the kitchen sink, at your bed side). Read them. Meditate on them by reading them slowly in a prayerful way seeking greater understanding for the message in the truth that can help you. Believe me! God is not keeping score about how many verses you are memorizing! He wants you to put your trust in Him. To learn to receive His love. And to live in the peace and joy that Jesus gained for us on the cross. Thank you so much for answering and the awesome comment. I love the suggestion of writing down verse, above the kitchen sink, at my bedside and one more I think that I will do is to also post it on my board at work. thanks for the understanding and answering me and not judging. this has help me a lot, I really appreciate it so much…. Thank you for this awesome reminder/refresher Word from God regarding FAITH! I am a bit ashamed to admit that I have not been keeping up with the encouraging emails you send to help me with with my faith driven life, the CLN, the Daniel 90-day lifestyle change, etc,, I hit and miss and I get overwhelmed because I know I made a commitment to myself, you, and God (not necessarily in that order) and I am falling behind. however, after reading the above 5 steps, which is exactly what I needed from the Lord, as you stated in your introduction, has given me the reassurance that what I am doing right now is ok, but I can do better..I just need to regroup, refocus and remember that God is always there with me. And I just noticed all the “re” words I’ve used today. I am going to look at the definition of each one and see what they mean for me and my faith walk. Thank you again for all that you do…blessings! Praise God that His mercy is new every morning. And that if we need wisdom, we can go to Him and He will give it to us generously and without reproach (I especially am glad of that). Yes, you are so right about regrouping and refocusing. That’s very normal as we move into new territory and when we develop new habits. I know you will make it! Remember, you have everything you need inside of you to receive the success you desire! Thanks for your feedback. Our God is so good. And He truly does want us strong in all areas of our lives in Christ. Susan, you are a blessing to the body of Christ. Your message came at a very opportune time for me. good starter-pack. Grace be unto you. I am forever thankful that God has given me this work – to bless His people and bring them (us) closer to Him. Awesome read. Much needed at the right time. Susan, this is excellent!! Thankful God put in your spirit to share this with us!! We must keep our hearts and minds on Jesus, just like we breathe air!! There is NOTHING more important in this earthly life than this!! Isn’t it something that people will believe in the supernatural of the enemy, and be truly frightened, but won’t believe in the goodness of God and His supernatural powers!! Who created the enemy?? Who has power and dominion over EVERYTHING?? Our Father and Saviour, Jesus Christ!! The book has been written, the story has been told, we all knows who wins in the end, and I am going with the winner, Jesus Christ!! Thank you again, Susan, and may God continue to bless you abundantly!! Yes, people are so easily moved and drawn into false spirits or works of the enemy! For me, this is our call as followers of Christ to be more of who God calls us to be – loving, kind, gentle. To be so full of true joy and strength that others want what we have, which is Christ in us! This article is so on point and worded in such a way that is not only easy to grasp but easy to repeat. To spread the good news is our good service required. For many of us it is difficult to explain how and why we feel in Christ Jesus. This will be in my “spreading the good news” for sure. Thank you and your spirit for helping along your sister in Christ. Our God loves us more than we can imagine. His desire for us to be at peace and in His joy is that of a caring Father. He only wants what is best for us. What a blessing it is to serve Him, right? This month I’m reading the book of Proverbs for each day a verse reading, reflecting and praying daily. I feel empowered and share the gospel with many daily. Staying focused on Him. Praise God! He is always faithful to draw near to us when we draw near to Him. Praise God for His faithfulness and goodness. I encourage you to read this article: Thanksgiving Praise and Worship as it may provide some additional support for you.